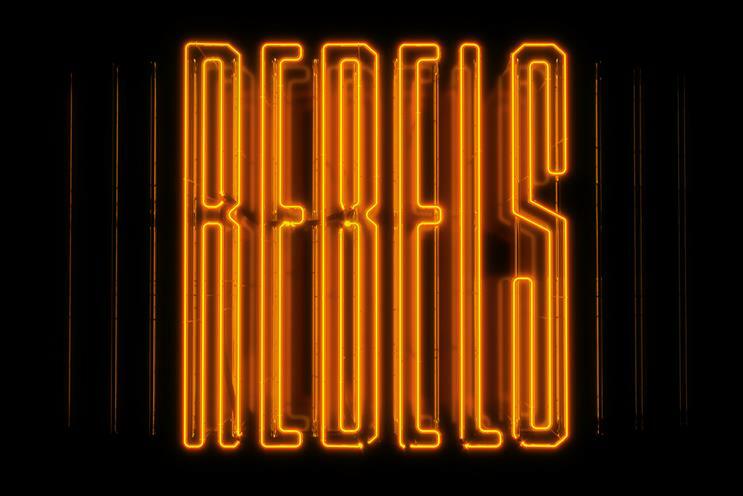 Champagne brand has worked with artists to create installations around the idea of rebellion. Veuve Clicquot, the premium Champagne brand owned by LVMH, is exploring radical moments in British culture as part of its annual event that celebrates its founder, Madame Clicquot. This year's Widow Series will be called "Rebels" and is billed as a "metaphorical nightclub", because the brand says this is a "catalyst to where great things begin". The activation will have six rooms, with installations around music, fashion and film. Those involved include film-making duo Warren Du Preez and Nick Thornton Jones, installation artists Rebecca Louise Law and Anna Burns, and musicians James Lavelle (Unkle) and Joe Goddard of Hot Chip. The event runs for three nights from 15 November on London's South Bank and was created by British graphic designer and creative director Tom Hingston. Jean-Marc Gallot, president of Maison Veuve Clicquot, said: "To quote Madame Clicquot: ‘The world is in perpetual motion and we must invent the things of tomorrow.' And it is this notion of creativity that we celebrate through the Widow Series."